[Haaretz] A document detailing the basic guidelines of Prime Minister Benjamin Netanyahu's new coalition, presented Wednesday to the Knesset, bears no mention of the solution of "two states for two peoples" nor does it include any intention of establishing a Palestinian state. The document includes a general statement alone according to which, "the government will advance the diplomatic process and will strive for a peace agreement with the Palestinians and with all of our neighbors." The document also mentions that the government will push for a diplomatic peace process while preserving Israel's security and national historical interests. "If an agreement of this kind is reached, it will be brought for the approval of the cabinet and the Knesset, and if necessary, for a national referendum as well," the document on the coalition guidelines says. The wording of the political clause in the document is similar to the wording used in Netanyahu's previous government in 2009 and 2013. Neither of those two government expressed commitment to a two-state solution either – mainly due to the opposition of many members of Likud and its coalition partners on the right. Rather than noting the issue of Palestinian statehood in the coalition guidelines, Prime Minister Benjamin Netanyahu has clung over the last few years to his Bar Ilan address in 2009, when he accepted the principle of "two states for two peoples" and expressed support for the establishment of "a demilitarized" Palestinian state which recognizes Israel. Although there is no apparent change in the wording of the diplomatic clause as they have appeared in Netanyahu's past government lines, there is a difference: Israel's international standing and the fact that since its last election period, the U.S. and the European Union states have demanded that Netanyahu prove – both in policy and in action – that his government is committed to the two-state solution. U.S. President Barack Obama reiterated these remarks in an interview with the London-based Arab daily A-Sharq al-Awsat on Wednesday morning. "We look to the new Israeli government and the Palestinians to demonstrate - through policies and actions - a genuine commitment to a two-state solution. Only then can trust be rebuilt and a cycle of escalation avoided," Obama said. The Obama administration's demand came on the backdrop of Netanyahu's pre-election remarks backing away from the two-state solution, when the prime minister told the NRG news website that his Bar Ilan speech was no longer relevant due to the security situation in the region. Netanyahu added that a Palestinian state would not be established as long he is prime minister. Netanyahu's statements were an effort to garner votes. Netanyahu backtracked on the comments just a few days after the election, however, saying that he was still committed to the two-state solution and his Bar Ilan speech. "I don’t want a one-state solution," Netanyahu told NBC on March 19. "I want a sustainable and peaceful two-state solution, but circumstances have to change for that to happen." The White House would not accept Netanyahu's clarifications. “We cannot simply pretend that those comments were never made,” White House Chief of Staff Denis McDonough told the J Street conference in Washington in March. Shortly after, Obama then told reporters that there is "real policy difference" between himself and Netanyahu when it comes to the need to establish a Palestinian state. 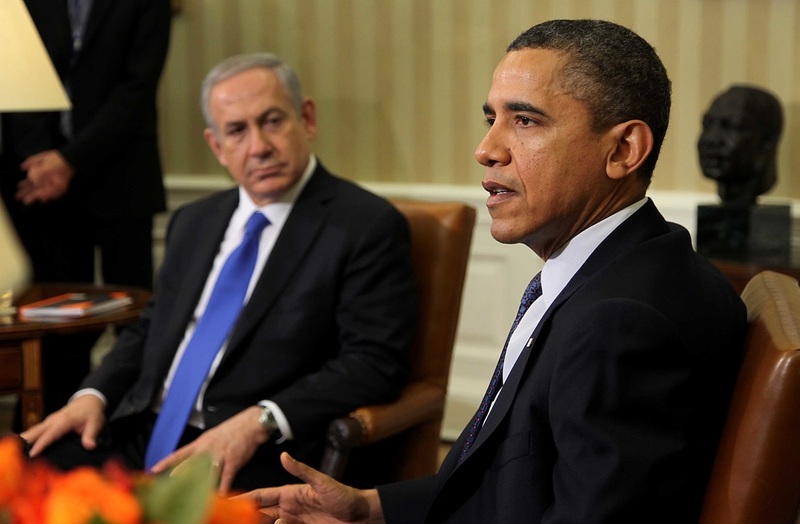 This dispute, Obama added, will have ramifications for U.S. policy regarding the Middle East peace process. Last month, U.S. Undersecretary of State Wendy Sherman warned that if the new Israeli government does not demonstrate its commitment to the two-state solution, the U.S. will have a difficult time continuing to assist its efforts to halt international initiatives on the Palestinian issue at the United Nations. "We will be watching very closely to see what happens on this [Palestinian] issue after the new government is formed," Sherman said. "If the new Israeli government is seen to be stepping back from its commitment to a two-state solution that will make our job in the international arena much tougher... it will be harder for us to prevent internationalizing the conflict." Prime Minister Benjamin Netanyahu's coalition stressed its desire Wednesday to achieve peace with the Palestinians and other Arab states as he prepared to present his new government. "The Jewish people have the undisputable right to a sovereign state in the Land of Israel, its national and historic homeland," read the coalition guidelines presented to parliament. "The government will advance the diplomatic process and strive to reach a peace agreement with the Palestinians and all our neighbors, while maintaining Israel's security, historical and national interests," they read. Any such agreement would be submitted to the Knesset, for approval "and if necessary by law, to a referendum". Netanyahu's new government is set to include ministers intent on expanding Jewish settlements in the occupied West Bank and east Jerusalem, an issue that has repeatedly derailed peace talks. During campaigning for the March 17 election, Netanyahu ruled out the establishment of a Palestinian state if reelected. Netanyahu has since sought to backtrack on those remarks and issued a public apology for warning on election day that Arab Israelis were going to the polls "in droves". The rest of the government policy outline deals with issues such as reducing the cost of living, improving competition in the Israeli economy, boosting education and protecting the environment. The guidelines are not inherently different to those published by Netanyahu for his two previous governments, formed in 2009 and 2013. They were released as parliament was preparing to vote on legislation that would effectively enlarge the cabinet. 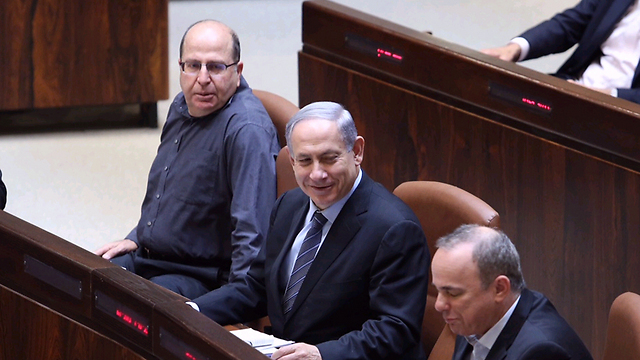 Netanyahu, who commands a razor-thin majority of just 61 of the Knesset's 120 seats, would then allocate ministerial and parliamentary positions to members of his Likud party, before presenting his government to parliament for approval. Commentators expected the vote on the new government to take place on Thursday or Monday. However, this is not true in the shuttle diplomacy China is practicing with respect to the conflicts in Sudan and South Sudan. There, Chinese state-owned enterprises (mainly the China National Petroleum Company) have invested heavily in the oil fields of Sudan for decades, and in the oil infrastructure of South Sudan since its independence in 2011. China’s “crossing the water by feeling the stones” pragmatic style of changing its non-interference policy is happening not just in Sudan but also in many other parts of Africa and, on a smaller scale, in other parts of the world. China’s rationale could not be simpler: protect investments. Indeed, in all of the places where China has decided to “interfere,” significant Chinese economic interests are exposed to potential harm if local conflicts or political turmoil are allowed to fester. In 2009, China surpassed the United States as Africa’s largest trading partner, and China has become the third-largest source of foreign direct investment (FDI) worldwide. Chinese political activism has clearly increased—if thus far only selectively and incrementally—alongside its booming international trade. According to this logic, therefore, China is destined to interfere in the conflict between Israel and Palestine. After all, China has acquired, either in full or in part, multiple Israeli companies of significant size. Both Chinese and Israeli companies are benefiting from partnering with each other in the high-tech startup field, with venture capital and private equity deals encompassing Beijing’s Zhongguancun—popularly referred to as “China’s Silicon Valley”—and Israel’s Silicon Wadi. 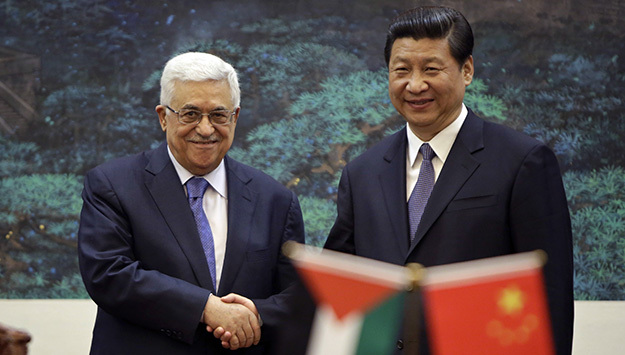 Although Chinese economic involvement with the Palestinians is not as extensive, Beijing understands well the importance of its role as an “old friend” of the Palestine Liberation Organization. Lackluster support for the Palestinian cause would not only bring complaints from Arab states but also damage China’s hard-earned international image as an advocate of justice in the developing world. Every November, Beijing continues to hold a reception commemorating the “International Day of Solidarity with the Palestinian People.” President Xi Jinping sent a congratulatory letter to the commemoration in 2014, a rare show of China's increased attention to the Palestinian cause, a sign no Arab country would miss. Besides, China considers having a supportive stance on the Palestinian issue a means of easing tensions with its own Muslim minorities, a crucial element in Beijing’s New Silk Road Economic Belt vision. The Middle East serves not only as China’s indispensable source of fossil fuels but also as a vast market for Chinese-produced commodities and products. Though China has tried to diversify its energy sources and thereby reduce its dependence on Middle East producers, these efforts have proven only modestly successful. Russia is neither a reliable nor an economical alternative, judging from, among other things, the cost of transporting Russian oil to China by pipeline. Beijing has also learned the high cost of seeking to maintain stability in African countries. Therefore, compared to the alternatives, working cooperatively with the existing guarantor of order in the Middle East—the United States—is not a bad option. Being called a “free rider” for doing so is merely a nuisance. And in any case, a would-be driver needs first to be a rider in order to learn how to drive―a fact the United States would do well to acknowledge if it wants China to learn how to contribute to stability in troubled regions of the world. Also motivating China to become more involved in solving the Israeli-Palestinian conflict is the desire to achieve balance in its relations with the United States. With growing tensions between China and the United States regarding the handling of territorial disputes in East Asia, China sometimes seeks to test vulnerabilities in the United States’ own “backyard,” whether in the Middle East or South America. No issue in the Middle East has consumed more resources and caused more chronic pain for the United States than the Israeli-Palestinian conflict. Each successive U.S. administration has started a new round of initiatives aimed at improving relations between the two parties, but all attempts have ended with a larger Israel and a smaller, more fragmented Palestine. Though China is now tempted to involve itself in resolution of the conflict, and the risks and rewards of potential steps are being discussed internally, the temptation is not being acted upon. Beijing still defers to U.S. leadership—and ownership—of the matter. For the most part, this is because China does not yet have a clear, coherent Middle East policy or a group of experts and policymakers with a well-honed strategy for approaching the Israeli-Palestinian conflict, let alone resolving it. China understands that it needs to find a way out of the vicious cycle that has repeatedly doomed U.S. efforts to mediate the conflict. Fortunately, many of the factors that complicate U.S. efforts are almost nonexistent in China. China does not have a large Jewish population, and its political system is almost completely immune to lobbying pressure and to the complexities of inter- and intra-party politics. Moreover, China not only has a cozy relationship with Israel, but also with all of Israel’s adversaries, such as Iran, Syria, and Turkey. As for the Arab countries, their stance might be more complicated than it seems on the surface. Although there is a "comprehensive" Arab Peace Initiative that China supports, the plan is already outdated due to the many new Israeli settlements and the many lives taken in the armed conflicts that have occurred since it was first proposed in 2002 (and later re-endorsed in 2007). Besides, the political balance in the Middle East has changed dramatically in the past five years. Both the Israelis and the Palestinians have altered their calculus, and it is harder than ever to get them to sit down at the negotiating table. Growing internal tensions among different Arab countries and Muslim sects, as well as the party politics within Israel, contribute to the conflict’s ever-increasing complexity. Nevertheless, as a country that itself has a long and complicated history in handling sophisticated multi-party conflicts (the Spring and Autumn and Warring States periods, for example), China is better equipped than the United States to come up with a comprehensive and culturally sensitive solution to the long conflict. By working bilaterally with all countries in the Middle East, China will be able to exert greater pressure on them. Each country will be willing to give up more for long-term peace in the region because each realizes that it needs China more than China needs it. This is a position that the United States envies. Whether China is fully ready or not, the question now is when—not if—China will “interfere” in the Israeli-Palestinian conflict. Perhaps, as with many Chinese initiatives during the past several decades, it is better to learn a new policy while in the process of implementing it. For the time being, it is likely that China will stick to making strong diplomatic statements regarding resolution of the conflict while preparing for the day when Washington invites Beijing to participate fully in the peace process. Holy See treaty, yet to be signed, switches diplomatic relations from Palestinian Liberation Organization to state of Palestine. The treaty, which concerns the activities of the Catholic Church in Palestinian territory, makes clear that the Holy See has switched its diplomatic recognition from the Palestine Liberation Organization to the state of Palestine. The agreement "aims to enhance the life and activities of the Catholic Church and its recognition at the judicial level," said Monsignor Antoine Camilleri, the Vatican's deputy foreign minister who led its six-person delegation in the talks. The Vatican had welcomed the decision by the UN General Assembly in 2012 to recognize a Palestinian state. But the treaty is the first legal document negotiated between the Holy See and the Palestinian state and constitutes an official recognition. Vatican officials stressed that although the agreement was significant, it certainly did not constitute the Holy See's first recognition of the State of Palestine. "We have recognized the State of Palestine ever since it was given recognition by the United Nations and it is already listed as the State of Palestine in our official yearbook," Vatican spokesman Father Federico Lombardi said. The Israeli foreign ministry said it was "disappointed" by the development. "This move does not promote the peace process and distances the Palestinian leadership from returning to direct and bilateral negotiations," the ministry said in a text message. "Israel will study the agreement and will consider its steps accordingly." The treaty was finalized days before Palestinian President Mahmoud Abbas visits Pope Francis at the Vatican. Abbas is heading to Rome to attend Francis' canonization Sunday of two new saints from the Holy Land. 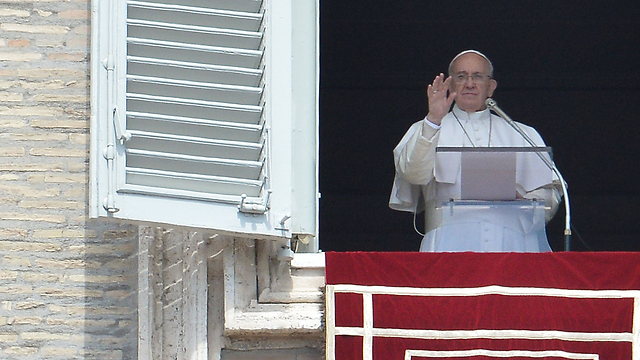 The Vatican has been referring unofficially to the state of Palestine for at least a year. During Pope Francis' 2014 visit to the Holy Land, the Vatican's official program referred to Abbas as the president of the "state of Palestine." In the Vatican's latest yearbook, the Palestinian ambassador to the Holy See is listed as representing "Palestine (state of)." The Vatican's foreign minister, Monsignor Antoine Camilleri, acknowledged the change in status, given that the treaty was initially inked with the PLO and is now being finalized with the "state of Palestine." But he said the shift was simply in line with the Holy See's position. A group of former high-ranking European officials urged the EU, in a letter dispatched Wednesday, to adopt a tougher strategy to pressure Israel within the terms of the incoming Netanyahu government line-up. 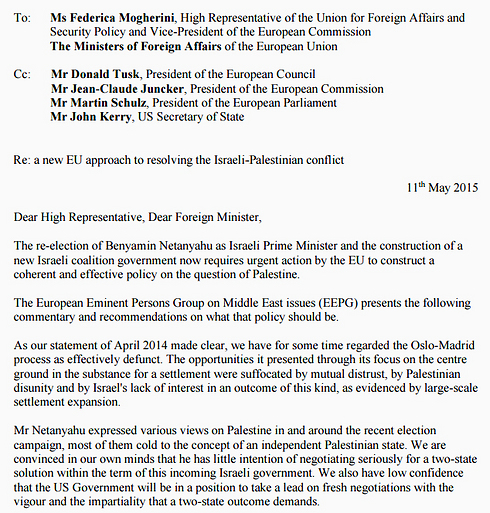 The letter, a copy of which was published by the news site Ynet, is addressed to EU Foreign Relations Chief, Frederica Mogherini, and the foreign ministers of EU nations, with copies to US Secretary of State John Kerry, European Council President Donald Tusk, European Commission President Jean-Claude Juncker and European Parliament President Martin Schulz. Titled “A new approach to solving the Israeli-Palestinian conflict,” the letter addresses the apparent political shift rightward in Israel, apparently referring to the reelection of Prime Minister Benjamin Netanyahu in March and his establishment of a right-wing coalition with a razor-thin majority. “We have for some time regarded the Oslo-Madrid process as effectively defunct. The opportunities it presented through its focus on the center ground in the substance for a settlement were suffocated by mutual distrust, by Palestinian disunity and by Israel’s lack of interest in an outcome of this kind, as evidenced by large-scale settlement expansion,” the letter reads. “Netanyahu expressed various views on Palestine in and around the recent election campaign, most of them cold to the concept of an independent Palestinian state. We are convinced in our own mind that he has little intention of negotiating seriously for a two-state solution within the terms of this incoming Israeli government. We also have low confidence that the US government will be in a position to take a lead on fresh negotiations with the vigor and the impartiality that a two-state outcome demands,” it continues. 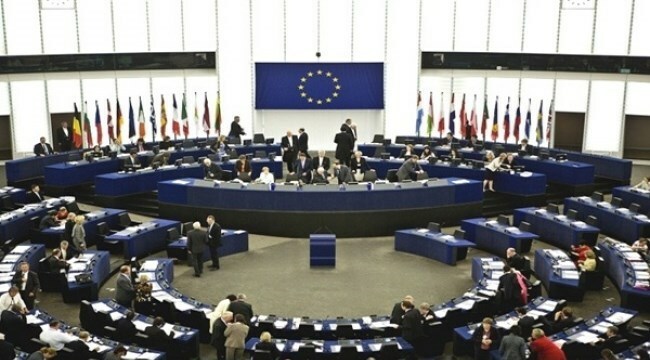 Ynet reported that the signatories to the letter proposed that the EU treat Israel and Palestine as separate political entities. The EU, the letter reportedly said, should allot a period of time for negotiations at the end of which the outcome must be a two-state solution. They proposed that the EU’s relations with each party to the conflict be contingent upon their will to advance a two-state solution. European countries should support Palestinian efforts to join international treaties and institutions while on the other hand increasing the labeling of Israeli products made in the settlements, they said. The authors suggested that the EU begin to play a larger role in peace negotiations, arguing that Washington, which chaperoned all previous rounds of Palestinian-Israeli peace talks — even those nominally co-sponsored by other parties — had failed to broker a solution. Among the signatories were former foreign ministers and prime ministers of leading European countries like Spain, France and the Netherlands. Some of the officials served in the past in leadership roles in the EU and NATO. In April, the acting foreign ministers of 16 of the European Union’s 28 member states sent a similar letter to Mogherini asking her to promote the labeling of settlement-made products in store chains throughout Europe. As Prime Minister Benjamin Netanyahu works toward the swearing in of his fourth government, a letter was uncovered by Ynet on Wednesday morning, sent by former European officials to US Secretary of State John Kerry and Federica Mogherini, the EU foreign minister, saying that Netanyahu's re-election demands a new policy - one that would focus on forcing Israel to the negotiating table with the Palestinian Authority. "We have for some time regarded the Oslo-Madrid process as effectively defunct," wrote the officials who included Spain's previous Foreign Minister Miguel Moratinos, former NATO Secretary General Javier Solana, former French Foreign Minister Hubert Védrine, former Prime Minister of Holland Dries van Agt, former Prime Minister of Ireland John Bruton, and others. The letter sent by former European officials. The letter blamed "Palestinian disunity," and, "Israel's lack of interest," as the reasons for the failure of the peace process so far before attacking Netanyahu specifically, saying, "We are convinced in our own minds that he has little intention of negotiating seriously for a two-state solution within the term of this incoming Israeli government." In order to change the status quo of failed peace talks, the letter's signatories insist that EU relations with both Israel and the Palestinians should be based on their efforts to reach a peace agreement, a policy which currently translates into support for Palestinian efforts to join international institutions and a boycott Israeli goods produced in the West Bank. Yet criticism was not limited to Israel and its potential peace partner. The letter also questioned America's role in talks between Israel and the Palestinians, suggesting that they envision the EU playing a central role in the future. "We... have low confidence that the US Government will be in a position to take a lead on fresh negotiations with the vigor and the impartiality that a two-state outcome demands." The Japanese government condemned in a press release issued Monday the Israeli decision to build 900 new settlement units in occupied Jerusalem, stressing the need for freezing settlement construction. The Government of Japan deeply deplores that, according to information, the Israeli authority has issued settlement tenders for 900 units in Jerusalem. "The Israeli announcement clearly goes against the ongoing efforts by the international community toward realizing a two-state solution," Japan Foreign Ministry spokesman Yasuhisa Kawamura said Monday. "Settlement activities are a violation of international law, and Japan has repeatedly called upon Israel to fully freeze settlement activities," he added. 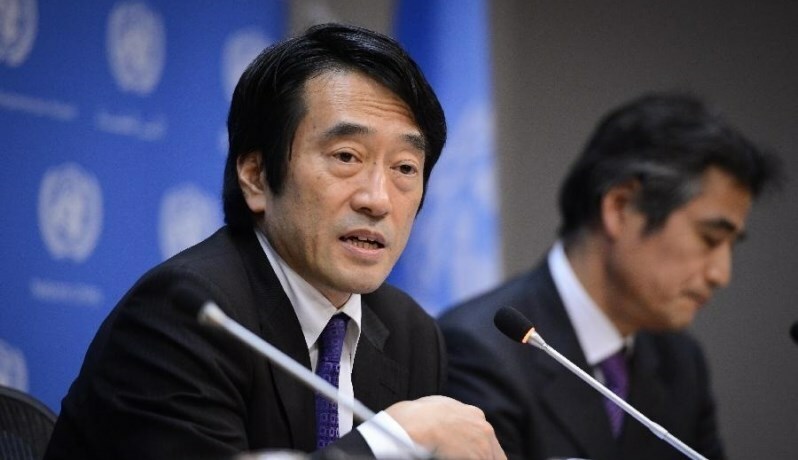 "Japan once again strongly urges both Israeli and Palestinian sides to act to enhance mutual trust and continue to make steady efforts for peace," the Japanese official continued. “Such a coalition betrays the true nature of the Israeli political system and promotes an anti-peace agenda and the language of racism, extremism and violence; it will further increase the isolation and deligitimization of Israel. In addition to the extremism in the Likud and the ideologies of the religious parties, the Jewish Home Party, which now has control of the Israeli Civil Administration and the Security Cabinet, represents the most extreme and racist elements within Israeli society. 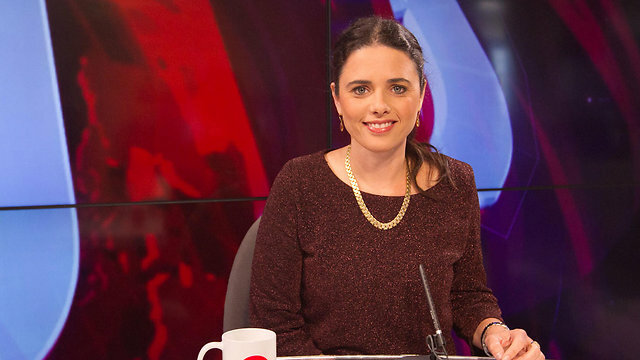 Appointing Ayelet Shaked, who openly advocated for the genocide of the Palestinian people and stated that ‘the entire Palestinian people is the enemy,’ as the new Justice Minister and the head of the Ministerial Committee for Legislation and the Judicial Appointments Committee is not only a threat to peace and security, but generates a culture of hate and lawlessness within Israel, compounded by Shaked’s attempts to control the Israeli Supreme Court and to pass legislation that targets civil society, as well as fundamental rights and freedoms of the Israelis. Handing over key ministries, such as agriculture, to Uri Ariel who approved the construction of thousands of illegal settlement units in Occupied Palestine during his time as the Israeli Minister of Housing and Construction is extremely dangerous and will encourage more settler violence and the deliberate dehumanization of the Palestinian people. A Palestinian official report warned on Saturday of escalating settlement in the occupied West Bank in light of the formation of the Israeli new government. The Palestine Liberation Organization’s (PLO) National Office for the Defense of Land and Resistance of Settlement said the Israeli government tends to escalate settlement construction in the West Bank to fulfill the promises made by coalition parties especially Likud and The Jewish Home during the elections. The report pointed out that the Israeli Occupation Authority (IOA) gave orders to Jerusalem District Planning and Building Committee to construct 1500 new settlement units in Ramat Shlomo outpost in northern Jerusalem after freezing the legal procedures for more than a year. 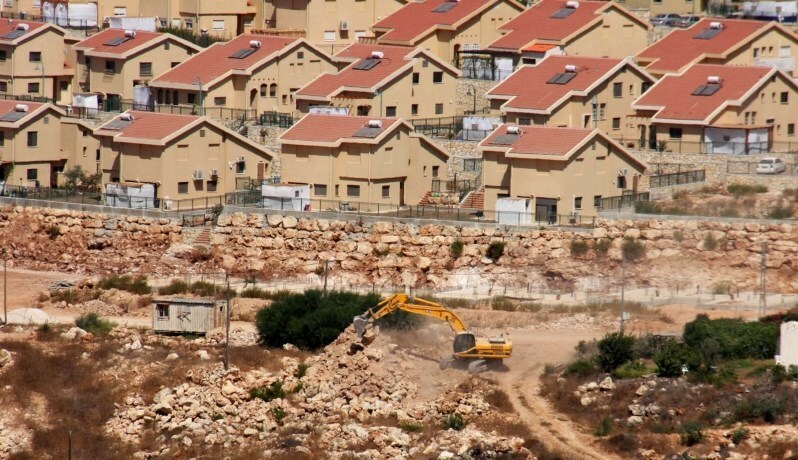 In addition, the Committee endorsed a decision to build 77 new settlement units in both Israeli outposts of Pisgat Ze’ev and Neve Ya’akov in Occupied Jerusalem. Shufat Palestinian town in Jerusalem will be mainly affected by this order, the report underlined. Just on Friday, the committee has endorsed a resolution to build 900 new housing units in Ramat Shlomo which is established on Shufat’s land to the east of the city. Meanwhile, the Israeli forces razed the houses of and displaced 450 Palestinians from Susiya hamlet claiming lack of infrastructure in that area within an Israeli policy of displacing Palestinians for settlement expansion. Officials of the Israeli army admitted that endorsing Palestinian construction projects in the West Bank is subject to political considerations followed up by the Israeli civil administration directly, the report stated. It pointed out that the IOA continues its policies of Judaization and ethnic cleansing in the Jordan Valley areas. Thousands of dunums planted with legume crops got burned, pastures destroyed, and dozens of families were forced to leave their homes for Israeli military exercises, it added. After US, Palestinian rebuke decision to construct 900 homes in Ramat Shlomo, EU statement says settlement policy threatens two state solution. The European Union on Saturday added to United States and Palestinian criticism over Israeli plans to build 900 homes in east Jerusalem. "Israel's determination to continue its settlement policy despite the urging of the international community not only threatens the viability of the two state solution but also seriously calls into question its commitment to a negotiated agreement with the Palestinians," the EU said in a statement. Settlement watchdog Peace Now reported the latest batch of construction approvals on Thursday, just hours after Israeli Prime Minister Benjamin Netanyahu formed a new rightwing-religious coalition government. 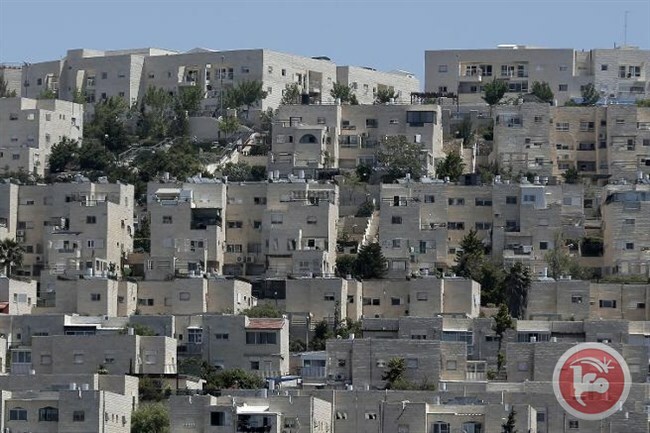 The new homes will be built in the east Jerusalem settlement neighborhood of Ramat Shlomo following a decision late Wednesday by the city's district planning committee, Peace Now spokeswoman Hagit Ofran told AFP. In a briefing Thursday at the US State Department, spokesman Jeff Rathke called the decision "disappointing" and "damaging". "This is a disappointing development, and we're concerned about it just as a new Israeli government has been announced," he said. "Moving forward with construction of housing units in east Jerusalem is damaging." "We continue to engage with the highest levels of the Israeli Government, and we continue to make our position clear that we view this as illegitimate," Rathke said. In March 2010, Israel's interior ministry announced a plan to build 1,600 settler homes in Ramat Shlomo, an ultra-Orthodox Jewish neighborhood in east Jerusalem. That announcement came as US Vice President Joe Biden was visiting Israel, provoking fierce American opposition and souring relations with Washington for months. In his reelection campaign in March this year, Netanyahu vowed to step up settlement construction in east Jerusalem, which Israel captured in the 1967 Six Day War. Palestinians decried the new Israeli government, in which the far-right Bayit Yehudi is a key partner, with senior official Nabil Shaath blasting what he termed a "colonial settler cabinet"
Western diplomats express concern of 'anti-democratic' legislation pushed by incoming justice minister Shaked, saying it 'looks designed to shut down criticism'. Benjamin Netanyahu's formation of one of the most right-wing government in Israel's history has fuelled concerns in Europe and the United States about further settlement building and dimming prospects for peace. But it also has diplomats on edge about wider policy proposals, particularly on social and judicial affairs, where the far-right Bayit Yehudi party, an influential member of Netanyahu's coalition, is determined to leave its mark. Ultra nationalist Bayit Yehudi, led by former technology entrepreneur Naftali Bennett, has secured two important cabinet portfolios: the education and diaspora ministry for Bennett and the justice ministry for his number two, Ayelet Shaked. Shaked, a 39-year-old former software engineer, is a divisive figure in Israeli politics, making outspoken comments against Palestinians while promoting a pro-settler agenda. Since entering parliament in 2013, she has backed a number of controversial bills, including one that would enshrine Israel as the Jewish nation-state, to the anger of Israel's 20 percent Arab minority. Shaked also wants to check the Supreme Court's power and restrict donations from foreign governments to non-governmental organizations in Israel. As justice minister, she will be in a position to push those legislative proposals more aggressively, with the NGO and judicial oversight bills expected to move ahead. For foreign diplomats, that raises as many concerns about the direction Israel is moving in as the expansion of settlements on land the Palestinians seek for a state - a profound, long-standing bone of contention. "The red lines for us aren't just about settlements," said the ambassador of one EU member state. "When you look at some of the legislation being proposed, it is very worrying. It is anti-democratic and looks designed to shut down criticism. It's the sort of thing you normally see coming out of Russia." US diplomats have flagged their concerns too, while emphasising that they need to wait to see how the legislation pans out. With the narrowest of governing majorities - just 61 seats in the 120-seat parliament - it will be a challenge for Netanyahu to get new legislation approved. The nation-state bill, perhaps the most contested piece of law in Israel's recent history, looks unlikely to progress because one member of the coalition, Moshe Kahlon, the leader of the centrist Kulanu party, has an effective veto. But the NGO and judicial oversight bills have a better chance of advancing, with Avigdor Lieberman, the leader of the far-right Yisrael Beytenu party, a former ally of Netanyahu's who is now in opposition, likely to support them. The NGO bill would impose a heavy tax on foreign donations to non-governmental organizations operating in Israel, unless a special defense ministry committee decides otherwise. "It's part of a broader effort to limit the political space, to squeeze out opposing views," said Matt Duss, president of the Washington-based Foundation for Middle East Peace. "It has very negative connotations. It creates a hostile environment for those who express legitimate criticism and would put Israel in some very bad company." In Europe, officials are discussing what steps may be taken against Israel if it continues to expand settlements, a process that continues apace, with tenders for 900 units in East Jerusalem issued this week. Israelis frequently fret that Europe is going to impose a trade boycott on them. No such action is likely. The EU does restrict loans to Israeli research bodies based in the West Bank, however, and is moving ahead with plans to label Israeli products made in West Bank settlements. Other measures are quietly being debated. In the past, the trigger to move ahead with such steps was settlement-building, which the EU regards as illegal under international law. But now, Israel's legislative agenda may be as much of a danger. "It is a deep concern for us," said the European ambassador. "It is the sort of thing that is a red line." Israeli sources reported Friday that an agreement was reached between Israeli Prime Minister Benjamin Netanyahu and the “Jewish Home” Party, to legalize random colonial outposts, built on Palestinian lands, in the occupied West Bank. Israeli Channel 7 has reported that the agreement came following pressure from the head of the Jewish Home Party, legislator Naftali Bennett, as part of an agreement to join the right-wing coalition government. After the new government is formed, Cabinet Secretary Avichai Mandelblit will be heading a committee to formulate a framework meant for legalizing outposts, built by Israeli settlers on Palestinian lands, without the government approval. Representatives of the Israeli Defense Ministry, Agriculture Ministry and Justice Ministry are also part of the new committee. The struck deal requires the new government to start the actual preparations one month after it is formed. The committee will be discussing and finalizing all legal issues to “legalize” the outposts, before submitting its report within sixty days after its formation, and the government will then approve and implement the recommendations. 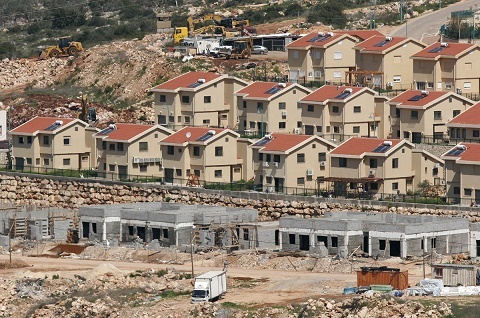 Responding to the Israeli decision to build 900 new units in Ramat Shlomo illegal Israeli colony in occupied Jerusalem, Palestinian presidency spokesperson, Nabil Abu Rodeina, said Israel is ongoing with its crimes and violations against the Palestinian people. Abu Rodeina said the Palestinian legitimate demands for peace are simple and clear; Israel must officially accept the two-state solution, must end its colonial activities, and end its ongoing violations against the Palestinian people, their lands and holy sites. 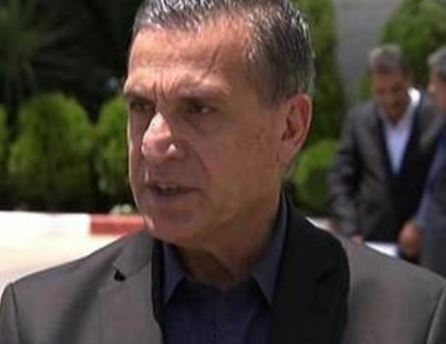 In a press release, Abu Rodeina stated that Palestine would continue its efforts to gain membership in various international organizations and treaties, to protect the national interests, and struggle, of the Palestinian people. He added that the newly formed Israeli government of Benjamin Netanyahu is a right-wing extremist government that continues Israel illegal policies of constructing and expanding colonies in occupied Palestine. Buildings in Ramat Shlomo, a Jewish settlement in East Jerusalem. Israel has approved construction of 900 settler homes in annexed East Jerusalem, a watchdog said Thursday shortly after Israeli Prime Minister Benjamin Netanyahu formed a new right-wing religious coalition. The new homes will be built in the east Jerusalem settlement neighborhood of Ramat Shlomo following a decision late Wednesday by the city's district planning committee, Peace Now spokeswoman Hagit Ofran told AFP. 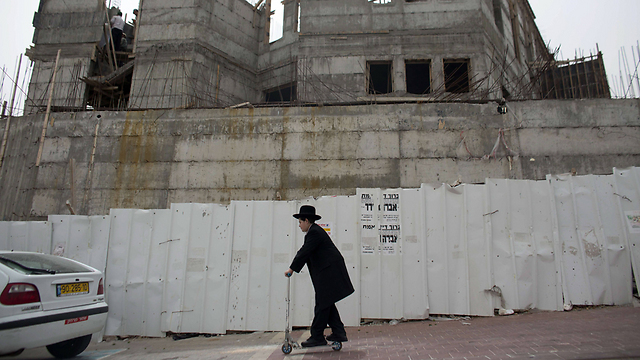 "They've approved the request, and now they're allowed to build," she said.In March 2010, the interior ministry announced a plan to build 1,600 settler homes in Ramat Shlomo, an ultra-Orthodox Jewish neighborhood in East Jerusalem. The announcement came as US Vice President Joe Biden was visiting Israel, provoking fierce American opposition and souring relations with Washington for months.In November 2013, the plan passed a further stage of approval but construction was held up because the planning committee said new roads must be built first, Peace Now said. "The plan (for 900 units) has been approved even though they don't have the roads," Ofran said.The plan was approved as Netanyahu was in the final stages of piecing together a coalition government that will include the far-right Jewish Home, which strongly backs settlement building and opposes a Palestinian state. President Barack Obama's administration has had a cold relationship with Netanyahu, notably over continued settlement building which the international community views as a major obstacle to peace with the Palestinians.In his reelection campaign in March, Netanyahu vowed to step up settlement construction in East Jerusalem, which Israel captured in 1967 and later annexed in a move never recognized by the international community. Hamas hailed the visit paid by Nikolay Mladenov, the UN's recently-appointed envoy for the Middle East peace process, to the blockaded Gaza Strip, branding the stopover a step in the right direction. 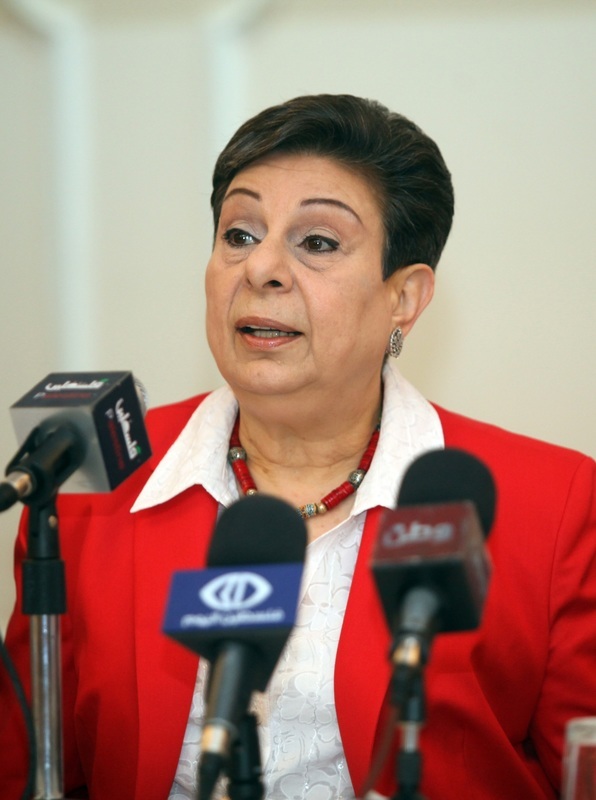 Hamas expressed hopes that the UN delegation would discern on-the-spot proofs of Israeli crimes and the perilous repercussions of the tough blockade imposed on the people of Gaza for eight uninterrupted years. Hamas called on Mladenov to urgently work on lifting the siege, taking a tougher line against Israeli crimes, unblocking the border crossings, and boosting reconstruction. Mladenov arrived in the Gaza Strip on Wednesday via the Israeli-controlled Erez border crossing in his first visit to the blockaded coastal enclave since his appointment two months ago. Mladenov held a round of separate meetings with representatives of popular and civil organizations along with businessman and private investors. Earlier, on Tuesday, he met the Palestinian Authority Chairman, Mahmoud Abbas, in the West Bank city of Ramallah. 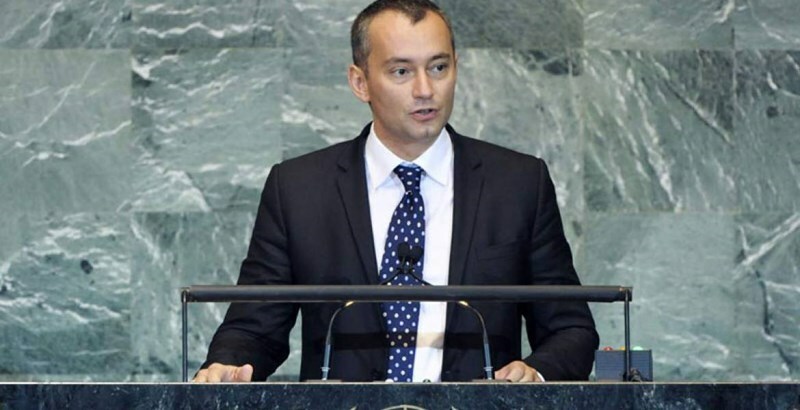 Mladenov, a Bulgarian diplomat, was appointed by UN Secretary-General Ban Ki-moon in February to replace Robert Serry, a Dutch diplomat who sponsored a controversial reconstruction plan for Gaza following a devastating Israeli military offensive last summer. The new United Nations official charged with working toward peace in the Middle East on Wednesday arrived in the besieged Gaza Strip. Special Coordinator for the Middle East Peace Process Nickolay Mladenov arrived in Gaza at the head of a 10-member delegation via the Erez crossing from southern Israel. The trip to Gaza is a first for Mladenov since his appointment to the position in early February by United Nations Secretary-General Ban Ki-moon. On April 15, Mladenov said in a statement that "The UN remains committed to supporting the reconstruction of Gaza." "With the advent of a number of large scale housing and infrastructure projects, it would be important for Israel and all stakeholders to work together and accelerate the entry of construction materials," he said at the time. That statement was released following the envoy's first meeting with Palestinian Prime Minister Rami Hamdallah. 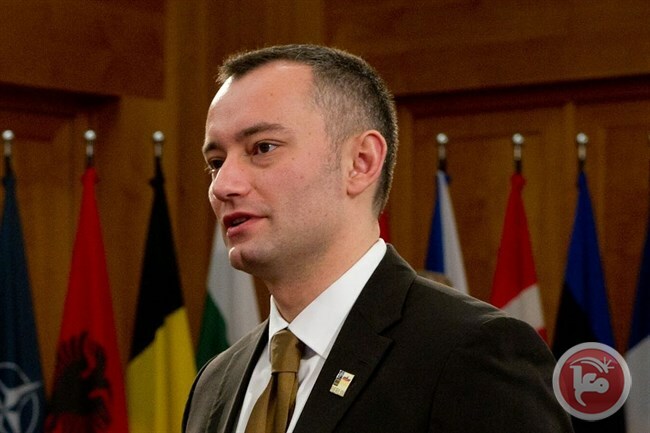 In his position, Mladenov also serves as the personal representative of the UN leader to the Palestine Liberation Organization, the Palestinian Authority, and the international quarter on the Middle East, including the UN, EU, US, and Russia. He has come under fire by some Palestinian critics, who accuse him of taking strongly pro-Israel stances during his time as Bulgarian foreign minister in 2010 to 2013.Mladenov replaced Robert Serry, who was UN Mideast peace coordinator since 2007.